Where to pick strawberries in the Triangle? Strawberry season has come a little early to NC this year, so we may get an extra week or two of crop production. Just make sure you don’t wait too long to go out and get some of this great seasonal local produce. 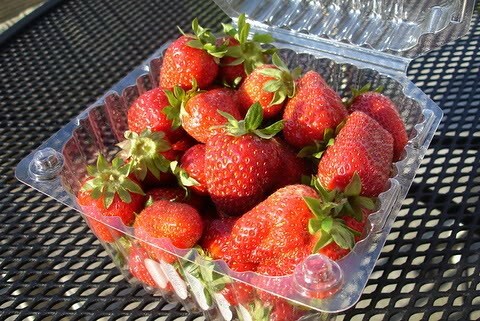 The local strawberry fields are now open and it is the perfect time to go out and get your fill of berries. While you can pick up some great strawberries at the local farmers’ markets, going directly to the farm to pick your own can be a fun experience and a little cheaper too. Picking strawberries is the perfect opportunity to teach kids about where our food comes from or to remind yourself just how flavorful fresh berries and produce are supposed to taste. To find places to pick your own strawberries in the Triangle, check out these two lists of local berry farms published in the News & Observer and Carolina Parent Magazine. What could be better than a quart or two of Fresh North Carolina homegrown strawberries? Right on! I need to get out there this week and get a few pounds. I usually get mine at the farmer’s market but I am looking forward to picking my onw this year!